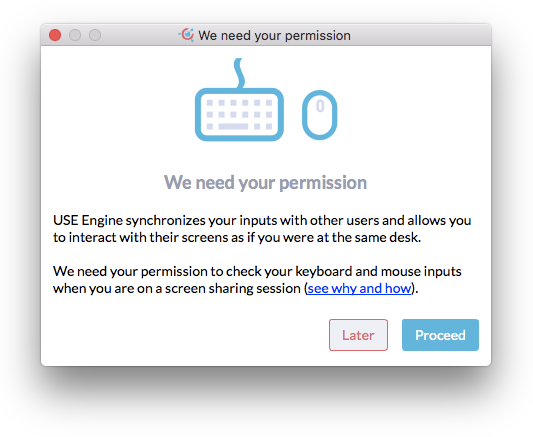 The first time you launch USE Engine app on macOS, you will be asked to give your permission to control your computer. Setting this permission is necessary to make USE Engine fully work: if you don&apos;t, you will not be able to type on any remote screen and your teammates may experience issues while collaborating with you on your screen. 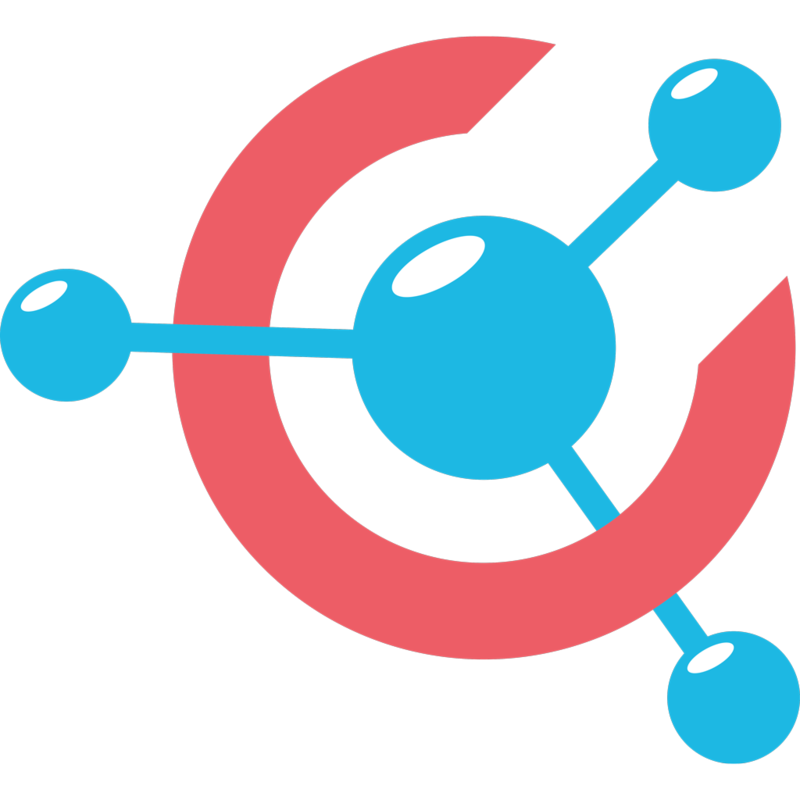 When sharing a screen or an app, USE Engine does sync your inputs with your teammates. The app needs to know when you click your mouse or type on your keyboard so your teammates inputs can be blocked meanwhile. USE Engine also checks for shift, control, command and other modifier keys during this process to avoid conflicts impacting your keyboard state. This process occurs locally, no input data are sent in any way. When joining a screen from USE Engine, it supersedes default windowing behavior to allow you to send any keyboard combination. Notably, you can send CMD-TAB combo to the remote screen without having your mac doing it locally. What if I don&apos;t set it? When sharing a screen or an app, your inputs will not be synchronized with your teammates, leading to a poor collaborative experience. They may also experience issues while interacting with your screen or app. When joining a screen from USE Engine, you will not be able to type on the remote screen. Got it, how can I set it? When you are launching USE Engine, if it detects the permission was not set, you will be invited to do so: the window shown above immediately appears. Click on Proceed, you will then get prompted with "USE Engine app would like to control this computer using accessibility features", click on Open System Preferences. Click on the lock button and enter your password, then click on the checkbox next to USE Engine app in the list. Restart USE Engine, you&apos;re all set! Note: if you are installing the latest USE Engine app over an alpha version, you may be asked to give your permission although the checkbox is already checked. Uncheck then check it again to make it work. Alpha app was not signed, we won&apos;t bother you again with the permission when you will install new updates.